A present challenge in tree community ecology is to elucidate how intra-specific functional trait or genetic variation is naturally distributed in populations and how it is related to intra-specific negative density dependence. Integrating the spatially continuous individual genetic diversity area relationship (IGDAR) with demographic rates across size classes may be a powerful way to elucidate these processes that are likely occurring simultaneously in natural populations that cannot be experimentally manipulated. Researchers from Xishuangbanna Tropical Botanical Garden (XTBG) and their international collaborators conducted a study to focus on the spatial distribution of intra-specific genetic diversity in a natural population of a tropical tree and the demographic implications of related neighbors. The researchers employed an individual genetic diversity area relationship (IGDAR) and individual species area relationship (ISAR) frameworks. 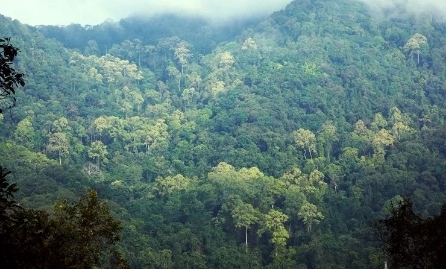 Using nine pairs of microsatellite DNA primers, they developed microsatellites to genotype individuals of Beilschmiedia roxburghiana (Lauraceae), an evergreen, small- to medium sized tree, in the 20-ha Xishuangbanna tropical seasonal rainforest dynamics plot where growth and survival has been monitored for 10 years. They found that spatial clustering of genotypes was evident across spatial scales, particularly in smaller individuals. Individuals that are surrounded by closely related conspecifics had lower relative growth rates than individuals surrounded by random or more diverse than expected conspecific neighbors. Furthermore, the species richness of neighboring heterospecifics had no impact on the demographic rates of focal individuals. The researchers thus have uncovered three pieces of evidence that should promote species coexistence in a hyper-diverse tropical tree community—dispersal limitation, low intra-speci？c diversity in local neighborhoods and negative demographic consequences of closely related neighbors. The study entitled “Intra‐specific relatedness, spatial clustering and reduced demographic performance in tropical rainforest trees” has been published online in Ecology Letters. 20-ha Xishuangbanna tropical seasonal rainforest dynamics plot. 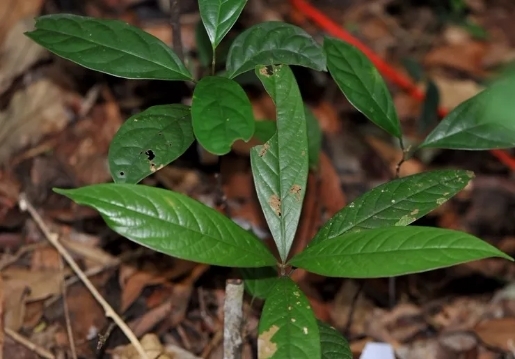 Seedlings of Beilschmiedia roxburghiana in the 20-ha Xishuangbanna tropical seasonal rainforest dynamics plot.